The Dundee office of DM Hall, one of Scotland’s leading independent firms of chartered surveyors, has signed an 18 months’ long sponsorship agreement with the city’s Morgan Rugby club. The agreement with the club, which plays in the Tennent’s Caledonia Midlands 3 League, will run for a period of 18 months and is worth around £2,000. Bob Fraser, a director of DM Hall said: “As a firm we are committed to supporting local community initiatives as part of our corporate social responsibility programme and it is with much enthusiasm that we have struck a deal with Morgan Rugby. “As well as a cash sum we have committed to buying tables at a number of forthcoming social events and to a number of club memberships for the period through until June 2020. 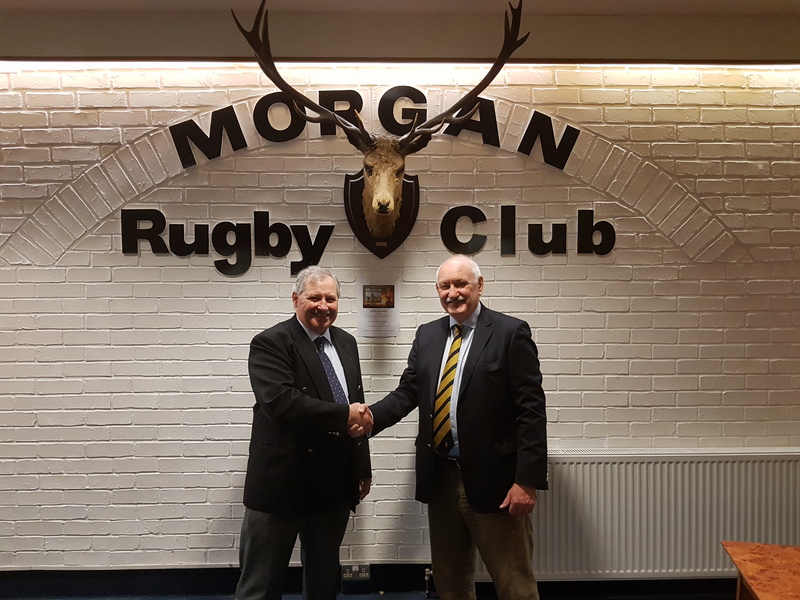 Derek Black, President of Morgan Rugby, said: “We welcome greatly the support of DM Hall, which will be of great value in assisting us fulfil our ambitious development programme over the next 18 months.